'Sons of Anarchy' Spinoff 'Mayans M.C' Cast Celebrate Season One Premiere! J.D Pardo is dapper in a suit while hitting the red carpet at the premiere of his new FX series Mayans M.C. held at the TCL Chinese Theatre on Tuesday (August 28) in Hollywood. 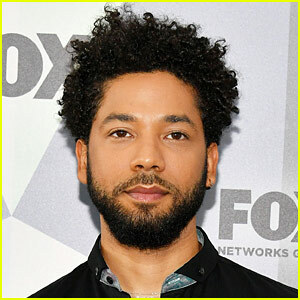 The 37-year-old actor was joined at the event by his co-stars Sarah Bolger, Carla Baratta, Clayton Cardenas, Edward James Olmos, Michael Irby, Antonio Jaramillo, Raoul Max Trujillo, Maurice Compte, Richard Cabral and Danny Pino. Also in attendance to show their support was Snowfall‘s Angela Lewis, Pose‘s Angel Bismark Curiel and Hailie Sahar, The Alienist‘s Q’orianka Kilcher. Mayans M.C. takes place in the same motorcycle club world as Sons of Anarchy, which takes place near California’s southern border. It follows EZ Reyes (Pardo), a potential new member of Mayans MC, as he wrestles with his tragic family history and his conflicts with his father – Watch the first look below! JD Pardo and Sarah Bolger hit the red carpet at the panel for Mayans MC during the final day of 2018 Comic-Con on Sunday (July 22) in San Diego, Calif. Some of the other cast members at the panel included Clayton Cardenas, Edward James Olmos, Michael Irby, Carla Baratta, Antonio Jaramillo, Raoul Max Trujillo, Richard Cabral, Danny Pino, Emilio Rivera, Frankie Loyal, Vincent Vargas, and Joseph Lucero. JD and series creator Kurt Sutter opened up during the panel about how he was cast in the lead role. Mayans MC is a spin-off of the beloved series Sons of Anarchy. FYI: JD is wearing Aquatalia shoes. A Sons of Anarchy spinoff series, Mayans MC, is coming to FX this year! The network announced a 10-episode first season for Kurt Sutter‘s follow-up to the biker drama on Friday (January 5). Mayans MC will premiere in either the summer or fall of 2018, marking the 10th anniversary of the original series. The cast will also include Edward James Olmos, Sarah Bolger, Clayton Cardenas, Richard Cabral, Michael Irby, Raoul Trujillo, Antonio Jaramillo, and Carla Baratta. 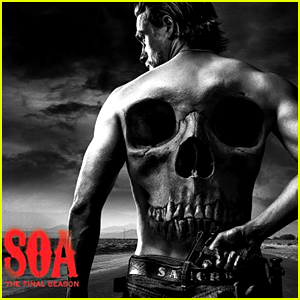 Sons of Anarchy wrapped its seven-season run back in 2014. Zachary Quinto Calls Out Trump Over Transgender Bathroom Decision At Oscar Wilde Awards 2017! Zachary Quinto has spoken out to send a message to President Donald Trump after he made the decision to lift federal protections for transgender students, which were put in place by the Obama administration. 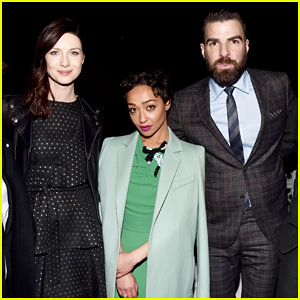 The 39-year-old actor urged the public to “fight for people who are striving to find their way in this world” while being honored at the US-Ireland Aliiance’s 2017 Oscar Wilde Awards held at Bad Robot on Thursday (February 23) in Santa Monica, Calif.
Oscar-nominated actress Ruth Negga, Outlander star Caitriona Balfe, Martin Short, singer-songwriter Glen Hansard also received Oscar Wilde Awards, which recognize the contributions of Irish people in film, television and music. Also in attendance at the ceremony was Zachary‘s boyfriend Miles McMillan, and Star Trek co-stars Chris Pine, Alice Eve and John Cho, Lin-Manuel Miranda, Sarah Paulson, J.J. Abrams, Lauren Cohan, Sarah Bolger, Shannon Woodward, Amy Shiels and Jason O’Mara.